I wanted it to be bigger. At least two meals worth. 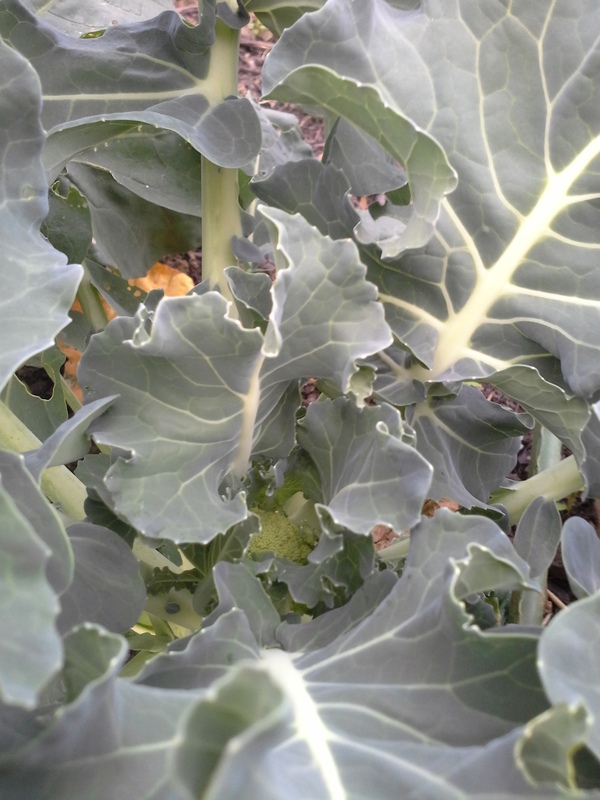 These broc plants have fought back from cabbage worm attack, survived dry spells when neither the weather nor I remembered to moisten the soil, come back from some freezing nights. They are survivors. But they aren’t very big. 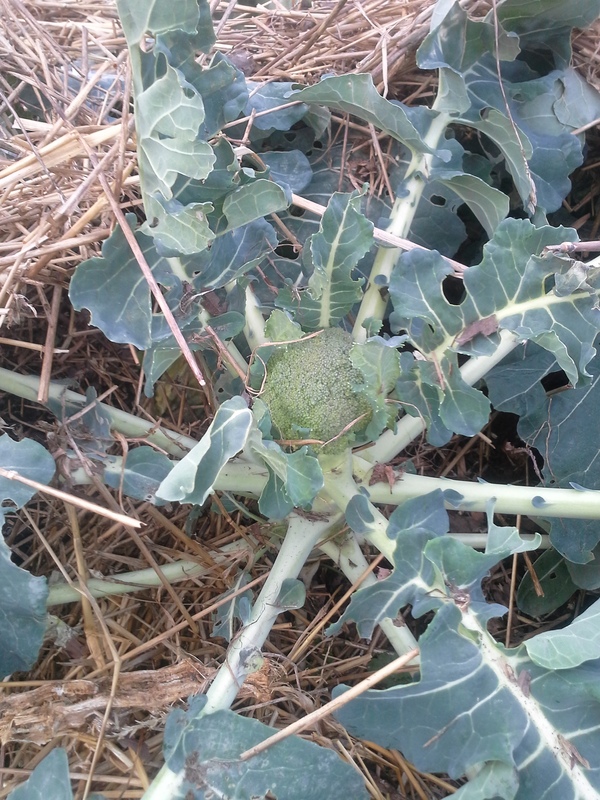 What I hate about suburban growing is that it seem to be precious – a hobby for dilettantes or wealthy suburbanites who have no need of success. My goal is to prove that growing plants on a suburban half acre can produce a significant amount of food. 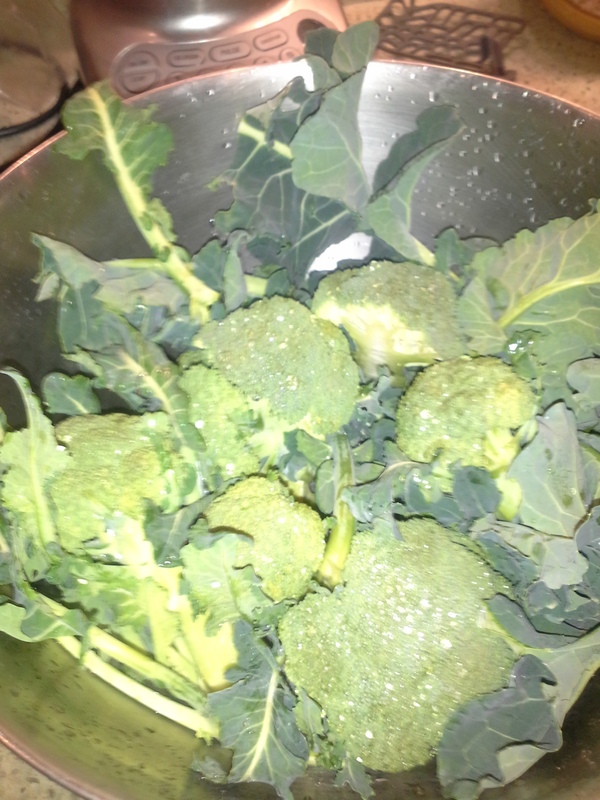 …But with the cold weather forecasted, I figure I’d better take my broccoli now or plan to throw it on the compost pile. Next time I will water more regularly, so that the plants have every advantage as the sun gives less light each day on my fall garden. And next spring we can try to get the side shoots that grow up around after you cut off the main head. Turns out the plentiful leaves are delicious steamed and buttered. 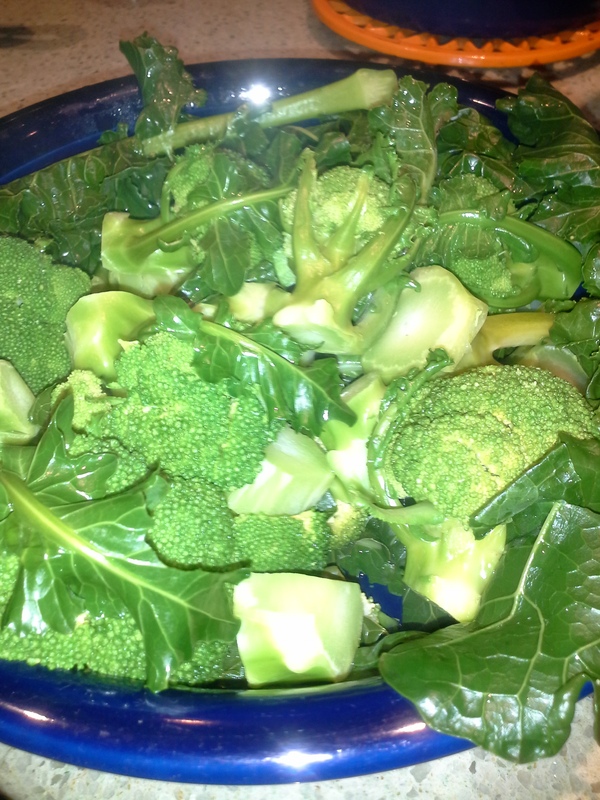 The leaves can also be used chopped up and added to the dogs’ food and chopped up into the chicken’s morning scraps.